The S&P 500 broke above the 2,700 level on Wednesday and the Dow surpassed 24,900. Stocks refuse to go down, even when Trump and Bannon declare war on one another as it appeared on Wednesday. The Dow Jones Industrial Average, the S&P 500 and Nasdaq jumped to new records on Wednesday, Jan. 3, as global markets continued to ride a bullish wave powered by synchronized growth and accelerating corporate profits. The Dow Jones Industrial Average was up 0.40% to finish at 24,922. The S&P 500 rose 0.64% to 2,713. The Nasdaq, which surpassed 7,000 for the first time on Tuesday, rose 0.84% to 7,065. Both the S&P 500 and Nasdaq started off the new year with record closes on Tuesday, Jan. 2. Goldman Sachs Group Inc. issued a research note on Wednesday that forecast the S&P 500 will rise 7% in 2018 to 2850, with a total return of 9%. The Technology Select Sector SPDR ETF (XLK - Get Report) rose 0.82%. Stocks added to gains after the Institute for Supply Management manufacturing index rose to 59.7 in December from 58.2 in November, and rose ahead of minutes from the Federal Open Market Committee's Dec. 13 meeting at 2 p.m. ET. At that meeting, the Federal Reserve's rate-setting body raised interest rates a quarter point and lifted its economic growth forecast for 2018. 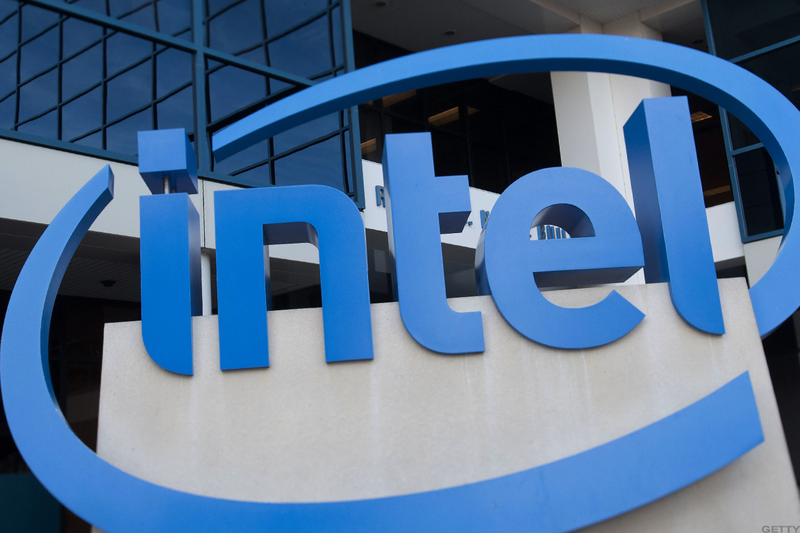 Intel Corp. (INTC - Get Report) fell 3% on Wednesday following reports of a potential bug in the chipmaker's technology. Shares of rival Advanced Micro Devices Inc. (AMD - Get Report) jumped 5%. Scana Corp. (SCG shares soared 22% after reaching an agreement to merge with Dominion Energy Inc. (D - Get Report) in a stock-for-stock deal valued at about $7.9 billion. The U.S. rejected the sale of money transfer company MoneyGram International Inc. (MGI - Get Report) to Chinese billionaire Jack Ma's Ant Financial Services Group. MoneyGram shares fell 9%. Tesla Inc. (TSLA - Get Report) shares dipped 1% ahead of the electric carmaker's release of Model 3 production numbers on Thursday, Jan. 4. From Wall Street research notes to various auto blogs, it looks like Tesla could badly whiff on its Model 3 delivery goals. Ford Motor Co. (F - Get Report) said U.S. sales in December rose 0.9%, beating expectations that called for a decrease of 2%. Ford shares gained nearly 1%. General Motors Co. (GM - Get Report) said sales in December fell 3.3%, narrower than estimates of a sales drop of 5.5%. The stock gained 2.4%. Analysts at Edmunds said the average price of a new vehicle is expected to hit the highest point in history in December. Edmunds estimated that the average transaction price of a new vehicle was $36,495 in December, which is a 3% increase from December 2016 and a 13% from December 2012. Allergan PLC (AGN - Get Report) declined slightly after the company said in a regulatory filing that it would eliminate more than 1,000 currently filled positions and cut about 400 open positions. In Europe, the Stoxx 600 Europe index, the region's broadest measure of share prices, added 0.49%, driven in part by solid gains for benchmarks in Germany. In Asia, the dollar continued to tumble as investors swapped more cash into regional currencies in the wake of much stronger-than-expected readings for manufacturing activity in both China and its neighboring economies. Oil prices in the U.S. rose 1.7% to $61.41 a barrel amid upbeat forecasts for growth in some of the world's most heavily industrialized economies. Allergen is a holding in Jim Cramer's Action Alerts PLUS Charitable Trust Portfolio.Want to be alerted before Jim Cramer buys or sells the stocks? Learn more now.